WWE Chairman and CEO Vince McMahon announced that Lesnar agreed to a new as well as undisclosed deal and confirmed that he will compete again this month. More specifically, The Beast will defend the Universal title against Roman Reigns in a Steel Cage Match at the Greatest Royal Rumble event in Saudi Arabia on April 27. WWE announced: “WWE Chairman & CEO Vince McMahon announced today that Universal Champion Brock Lesnar has re-signed with WWE. 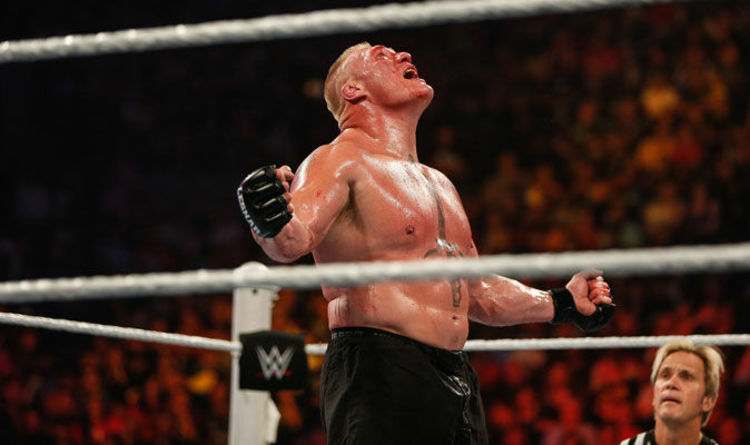 Lesnar was rumoured to be set to rejoin UFC after WrestleMania. UFC President Dana White even announced that the ex-WWE Champion will return to the promotion. He told Daniel Cormier during an appearance on UFC Tonight: “Yeah, Brock Lesnar’s coming back. But The Beast’s successful defence of the Universal title against Reigns at Mania basically ended all doubt regarding his future.